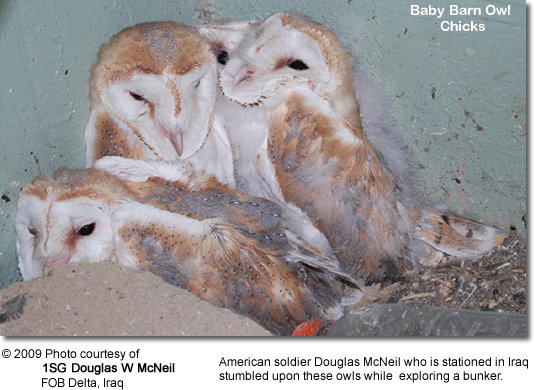 1SG Douglas W McNeil who was previously stationed in Iraq (FOB Delta) discovered a clutch of barn owl chicks while inspecting a bunker. 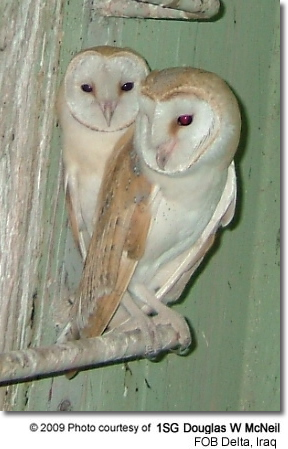 He made a photo of the 3 barn owl chicks and sent it in for publication. 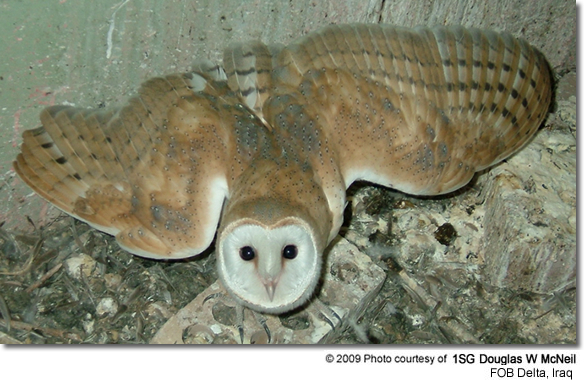 At the bottom is the first photo featuring the 3 chicks. The other photos were taken at subsequent visits and show them "all grown up."